"Change Rocks" benefit show for Barack Obama's presidential campaign. 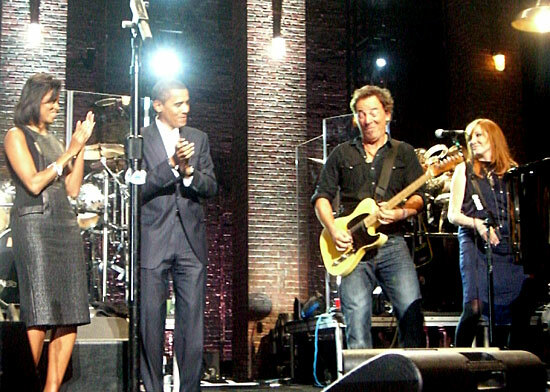 Bruce played with Billy Joel and his band, Patti Scialfa, and Roy Bittan ' Movin' out ( Anthony's song ). 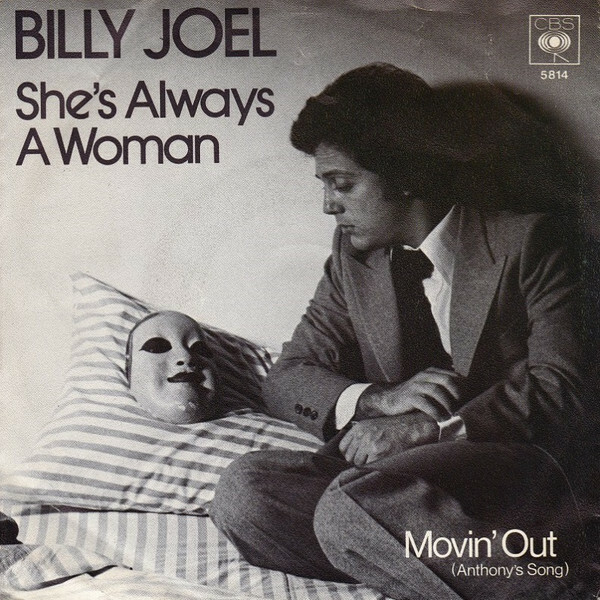 "Movin' Out (Anthony's Song)" is a song written and recorded by Billy Joel. The track details the singer's disgust with the upwardly mobile bourgeois aspirations of working- and lower-middle-class New Yorkers who take pride in working long hours to afford the outward signs of having "made it". Characters have stereotypically ethnic names (Anthony, Mama Leone, Sergeant O'Leary, Mr. Cacciatore) and blue-collar jobs. Joel considers their rejection of their working-class roots (trading a Chevy for a Cadillac and buying a house in Hackensack, New Jersey) ultimately futile; in the end, the rewards are a "heart attack" or "a broken back". According to Joel, Anthony is not a real person, but rather "every Irish, Polish, and Italian kid trying to make a living in the U.S."